Sails.js allows you to build custom, enterprise-grade Node.js apps using the Model-View-Controller pattern to organize your code so it is easier to maintain. 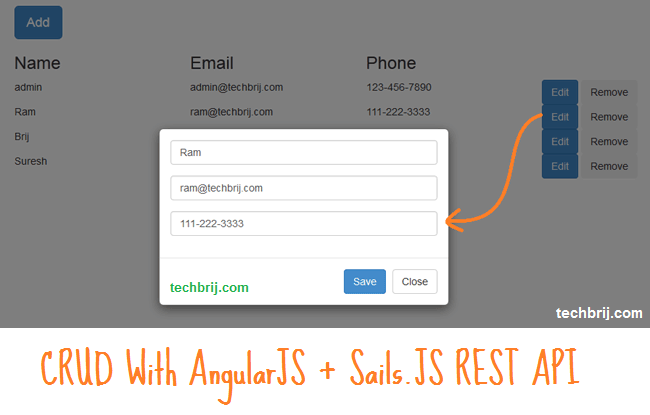 This article explains how to implement a simple CRUD by integrating AngularJS with Sails REST APIs. 1. Go to Node.JS Official site, download Windows Installer and then execute it. that’s it. 2. Go to MongoDB official site, download the zip file. You can unzip it anywhere you like. For simplicity, I am defining path here. So in next steps, it is easy to understand for you to define relative path at your end. 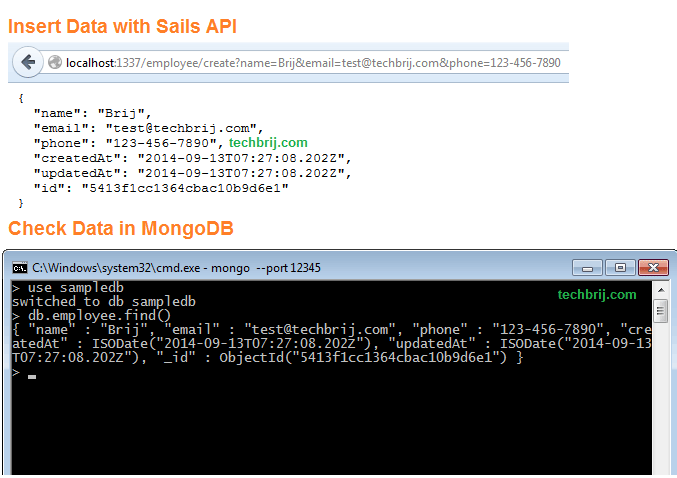 Extract the downloaded zip file in E:\mongodb folder and create data and logs folder in it. Open command prompt with “Run as administrator”. 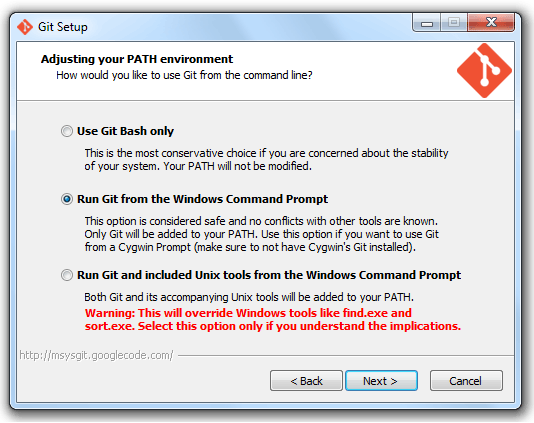 To configure a windows service for MongoDB, run following command in command prompt. --serviceDisplayName "MongoDB Server Instance 12345"
--serviceDescription "MongoDB Server Instance running on 12345"
Note: You can install it globally then no need to configure path. 4. Create new application (say myproject). You will get files created in myproject folder. 5. Bower is a package manager for the web. It will update the existing bower package. Make sure you have bower 1.3.8 or newer. You will get the packages installed in assets\vendor folder. At this point, if you visit (http://localhost:1337/) you will see the default home page. Open config\connections.js, define mongodb database details. You can also specify your connections in config\local.js to avoid commiting sensitive data to your repository. 7. 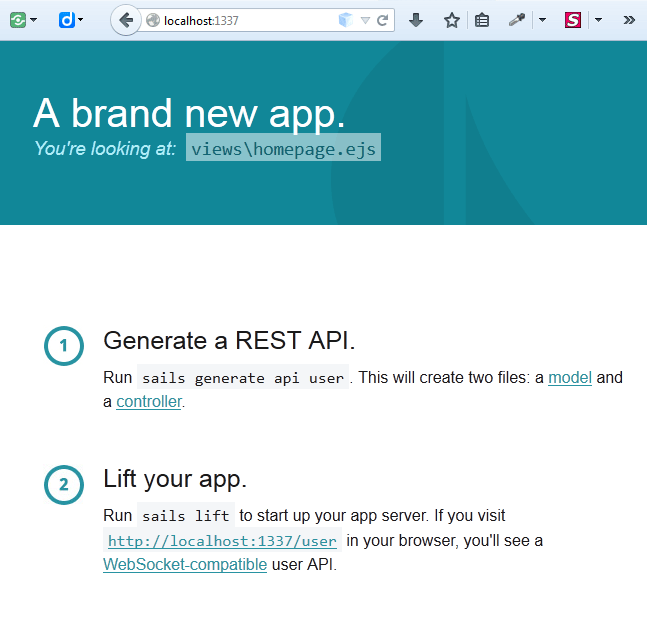 Sails is a rapid prototyping platform , API generation is faster and easier in Sails . Sails actually generates a new Model “Employee” (api\models\Employee.js) and a Controller file EmployeeContoller ( api\controllers\EmployeeController.js). By default, The generated model has no attribute. Let’s add three attributes name, email and phone in api\models\Employee.js. You can make sure the data is properly inserted in MongoDB database as above. Notice at the top where we set the window.name to “NG_DEFER_BOOTSTRAP!”. That will keep angular from initializing until we tell it to. Near the bottom after everything is loaded, we call angular.resumeBootstrap(). That is where angular picks back up and finishes initializing. 12. Create controllers folder in assets\js folder and create angEmployeeController.js file in it. The code from this post is available on GitHub. In this post, We saw basic installation and configuration of Node.js, MongoDB and Sails.js, have a fully functional CRUD API, created the front-end with Angular.js and consumed these services. Great tutorial and this is very helpful for startup guys and i am getting one issue bootstrap.css loading issue. Hello, thanks for the tutorial. I use this app with MySQL . before the server start I have my datatable with data. How do I delete code for the app keep my data in my datatable? This is how I fixed it. move your bower.json into assets folder. then run bower install. go back to the root of your application and do sails lift. It should now work even when the error prompt, that will not stop the app to work. Hope that will help you. how i add ng-routes to the example?? where the app.config would be with requirejs?? omg thanks for the tutorial and choose sails. could you explain me what is main.js file? its a middleware? a configuration file? its talking with angularjs? or its talking with sails?